The first Clasico of the season goes underway in the International Champions Cup in the early hours of Sunday and Coral are offering all our readers crazy enhanced odds on both teams to score! Join the bookie via this page and claim 33/1 BTTS in Real Madrid v Barcelona, plus £5 free bet if your bet is a loser! This bet is only available at 3/10 (1.30) but you can get boosted odds in two simple steps! Read the instructions below, head to Cora and back "both teams to score" in Real Madrid v Barcelona at the hugely enhanced price of 33/1! Join Coral Sportsbook and claim 33/1 Real Madrid and Barcelona both to score. Normal price is 3/10! 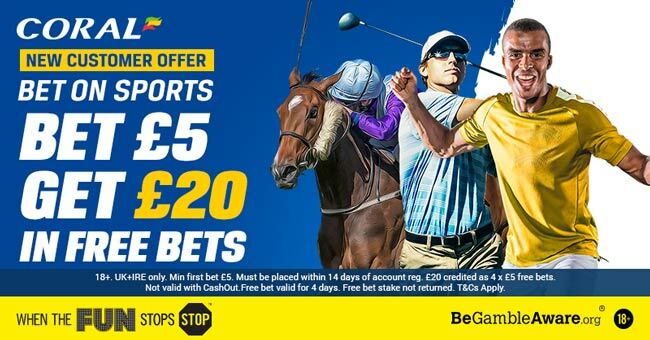 Coral are offering all new customers an amazing 33/1 for both teams to score in El Clasico, click here to put your hands on this amazing price boost. Open a new Coral online or mobile account and bet on Both teams to score in Real Madrid v Barcelona 33/1. 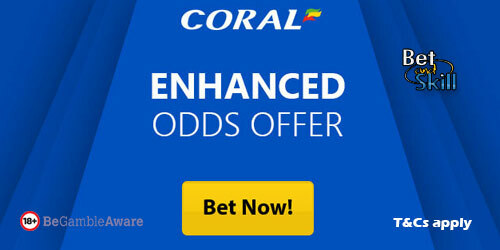 Offer available to UK & Republic of Ireland residents aged 18 years or over opening a new Online, Mobile or Coral Connect account in either £/€ currency through https://promotions.coral.co.uk/landing-pages/crazy-prices4, https://promotions.coral.co.uk/landing-pages/crazy-prices-online4 or the specific offer promotion box from coral.co.uk/sports/offers, between 08:00 BST Thursday 27/07/2017 until 00:30 BST Sunday 30/07/2017 with the exception of new accounts depositing funds with Moneybookers, Paysafe, Neteller or Skrill. Place your FIRST real money bet as a win single £/€1 on ‘Both teams to score 33/1’ in our “My Markets” sections. "Back 33/1 BTTS in Real Madrid v Barcelona at Coral (El Clasico Price Boost - ICC 2017)"